Computational biomechanics is a rapidly evolving field. New software tools have enabled detailed investigation of the biomechanical behavior of human soft tissue as well as the study of human motion and musculoskeletal biomechanics. These tools are now being used for patient-specific biomechanical analysis, medical device design, and rehabilitation research. 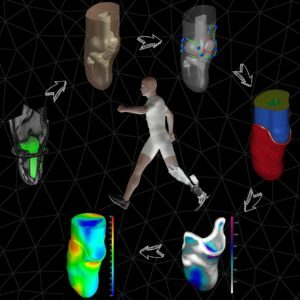 This course provides an introduction to a set of free and open source tools for computational biomechanics, namely GIBBON, FEBio and OpenSim. GIBBON provides a MATLAB framework for image segmentation, model construction and meshing. GIBBON also interfaces with FEBio, enabling advanced subject-specific and inverse finite element analysis. The OpenSim project allows one to simulate whole-body movements and estimate muscle activity, forces, and energetics. Examples presented will include MRI based model creation, meshing, inverse material parameter estimation, patient specific medical device optimization. For a hands-on portion of the course participants will be invited to bring their own data, enabling them to initiate the use of the tools presented for their particular research areas. The course will feature three speakers: Dr. Kevin Moerman (MIT Media Lab), GIBBON developer, Steve Maas (University of Utah), FEBio developer, and Christopher Dembia (Stanford University), who works on the OpenSim project. o	Survey of research studies combining OpenSim with finite element modeling. The course is targeted towards students, academics, and professionals in biomedical engineering, whose research involves soft tissue or musculoskeletal biomechanics. Participants should be familiar with the general concepts of biomechanics and have a good understanding of the MATLAB or Octave programming language. 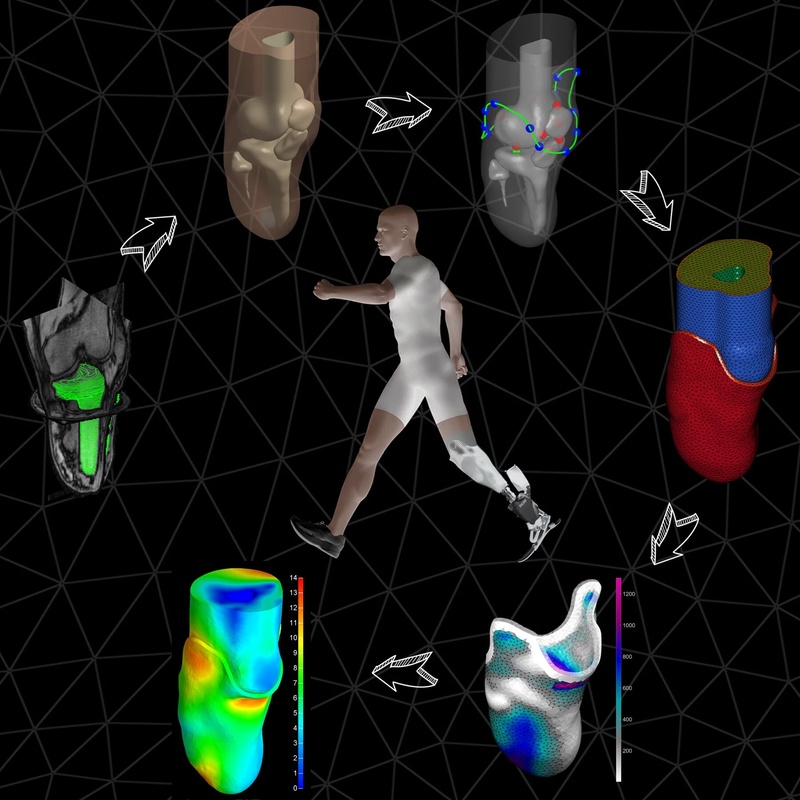 1) Being introduced to free and open source computational methods for biomechanics (including image-based modelling, meshing, finite element analysis, and musculoskeletal modelling). 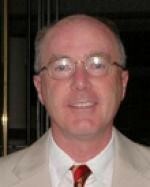 Kevin M. Moerman is a biomechanical and design engineer. He holds a Bachelor in Mechanical Engineering, and a Masters and PhD in Bioengineering. He is currently program manager for mechanical interfaces at the Biomechatronics department of the MIT Media Lab, where he works on prosthetic socket design. He also holds a visiting research fellow position at Trinity College Dublin collaborating on computational modelling of soft tissue mechanical behavior. 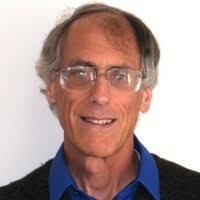 During his academic career he has amassed a wealth of computational tools for image-based modelling and inverse finite element analysis, resulting in the creation of his GIBBON open-source software project which he maintains on a voluntary basis. 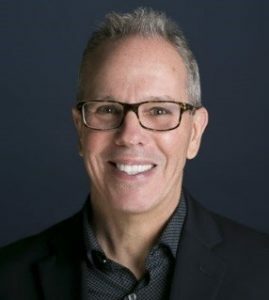 Kevin has shared his work at international conferences and is often involved in the organization of special sessions and workshops. Steve Maas is a research associate at the University of Utah’s Scientific Computing and Imaging Institute. He holds a Master’s degree in Physics and is currently finishing his PhD in Computer Science. He is the lead software developer for the FEBio project, a finite element analysis package for soft tissue biomechanics, and has been an integral member of the project’s development team since it started in 2006. Since then FEBio has grown into a new standard for finite element analysis in computational biomechanics. It offers tools that are highly relevant for the biomechanics and bioengineering research communities and that are hard to come by in traditional finite element software. Another important aspect of the FEBio project is its focus on outrearch to its users’ community, which continues to grow and is currently thousands of members strong. Mr. Maas has presented numerous times on the use of FEBio and given workshops at several international conferences. Christopher Dembia is a doctoral student at Stanford University in Prof. Scott Delp’s Neuromuscular Biomechanics Lab. His research focuses on applying the latest optimal control methods to understand the effect of assistive devices on the metabolic cost of walking. He is also a core software developer for the OpenSim musculoskeletal modeling and simulation package, and works on incorporating the new optimal control methods into OpenSim. OpenSim was first released in 2007 as a GUI and a set of command line tools that allowed one to estimate muscle activity and forces from experimental data of a movement. Today, OpenSim allows users to develop their own custom studies and analyses via MATLAB, Python, and C++ interfaces. The OpenSim software is part of the National Center for Simulation in Rehabilitation Research, which provides workshops, pilot project grants, and webinars related to OpenSim. Materials for Course: A course handout will be made available covering the course outline, and links the relevant GIBBON, FEBio, and OpenSim examples and documentation.